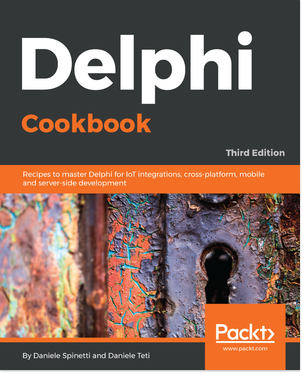 Open: Delphi Cookbook 3ed is out! Using a TAdvRichEditor with one of the RTF Editing Toolbars, within a few minutes, I not only had a gorgeous interface to show off, I was able to easily output the RTF’s results as both a HTML and a PDF stream. So far so good! The customer chose the TAdvRichEditorFormatToolBar for setting the RTF’s attributes, and the matching TAdvRichEditorEditToolBar for loading, saving, cut, copy, paste, undo, and re-do. Perfect! Add a “Color Button” to show the overall RTF’s background color. Set the RTF’s SelectStart to -1 and SelectLength to 0. Finally, the TAdvRichEditor’s DoSelectionChanged() method is called to synchronize the RTF control and the associated tool bar controls with the editing changes made by the new background color button. OpenFile — Normally, a dialog box is displayed, allowing the user to load the RTF from a number of different file formats. 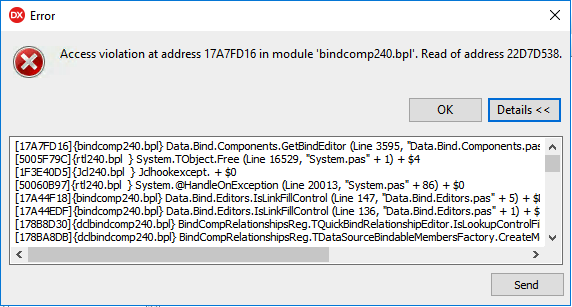 Per the customer’s requirements, the RTF is simply re-loaded from the same file every time (if it exists), otherwise default settings are used and no further processing is required. Finally, the caret is positioned in front of the first character in the RTF control (with no selection), and the AdvRichEditor’s DoSelectionChanged() method is called to synchronize the RTF control and the associated tool bar controls (containing the new background color button). SaveFile — Normally, a dialog box is displayed, allowing the user to save the RTF in a number of formats. Per the customer’s requirements, the RTF’s contents are saved as a “.rtf” file always to the same name (for later recall), and the RTF’s contents are also saved as an HTML string to be merged with a corporate header and footer HTML template, producing a completed web page. The web page title is replaced in the “corporate header” with the contents of the “WebpageTitle” edit control, and the “Title” is saved as the “Author” property in the “.rtf” file (for later recall when the .rtf file is reloaded). A “TAdvRichEditorMiniHTMLIO” component is used to covert the RTF’s contents to HTML. Setting the “PlainHTML” property causes no output of an HTML or body tag. An HTML DIV tag is used to surround the contents, using an inline style with the default font, size, and background color. Using a DIV tag allows additional style properties to be added (for example, additional margins and padding). Images used in the RTF are set to encode as “HTML inline images”, requiring no external images to be gathered for publishing. The end result is a single, self-contained web page that is ready to upload. This concept is demonstrated by the use of the declared “TAdvRichEditorProtectedAccess” class, and is used to access the AdvRichEditor’s protected DoSelectionChanged() method. The example presented demonstrates a great starting place for both the use and extension of only a few of the large number TMS Software’s RTF based controls available in the TMS Component Pack. Additional possibilities for use and enhancements of these controls are seemingly unlimited. In fact, I have a very excellent real time aware RTF edit popup menu that I plan to interface. In addition to the TMS Software RTF based controls, many other TMS controls come to mind that can be immediately (and easily) leveraged (such as the large number of TMS HTML based controls). TMS Software also provides for importing and exporting to and from many additional formats (such as PDF), support for many different image and vector formats, and also has database aware versions for most TMS controls. Joe hails from Borland’s Delphi® group, where he earned the moniker “TJoe”. His works include several award winning desktop publishing software titles including ‘TypeStudio’, ‘Effects Specialist’, and ‘OptiScript’. Joe was a featured writer for the ‘Windows Tech Journal’, and went on to author many technical white papers during his time at Borland. 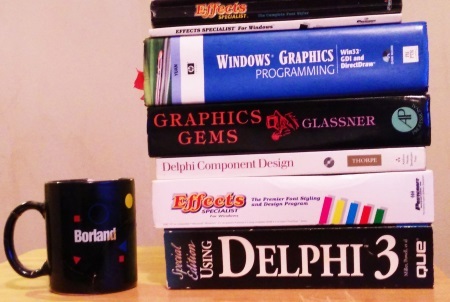 He is acknowledged as a contributing author in many books that have been published on the subjects of computer graphics, programming, and Delphi®. Joe participated in the 3D gaming engines used by Disney Interactive and 7th Level to produce many best-selling titles including Disney’s ‘The Hunchback of Notre Dame’ and ‘Timon & Pumbaa’s Jungle Games’, along with ‘Monty Python & the Quest for the Holy Grail’, ‘Monty Python’s Complete Waste of Time’, ‘Ace Ventura’, ‘Battle Beast’, and Howie Mandel’s ‘Adventures in Tuneland’. 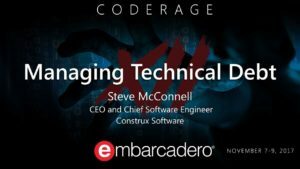 Joe is the lead engineer for Code4Sale LLC and a long time Embarcadero Technology Partner. His current projects include the open source ÜberPDF™SDK, the GX Graphics™ high speed render engine, and cross platform development for Microsoft Windows®, OS X®, Linux®, Mobile, and Embedded. When not coding, Joe can be found sailing the clear waters of Florida’s Emerald Coast aboard his sloop El deseo de padre. available for download as a .zip file. A source listing for the project’s main unit is listed below. 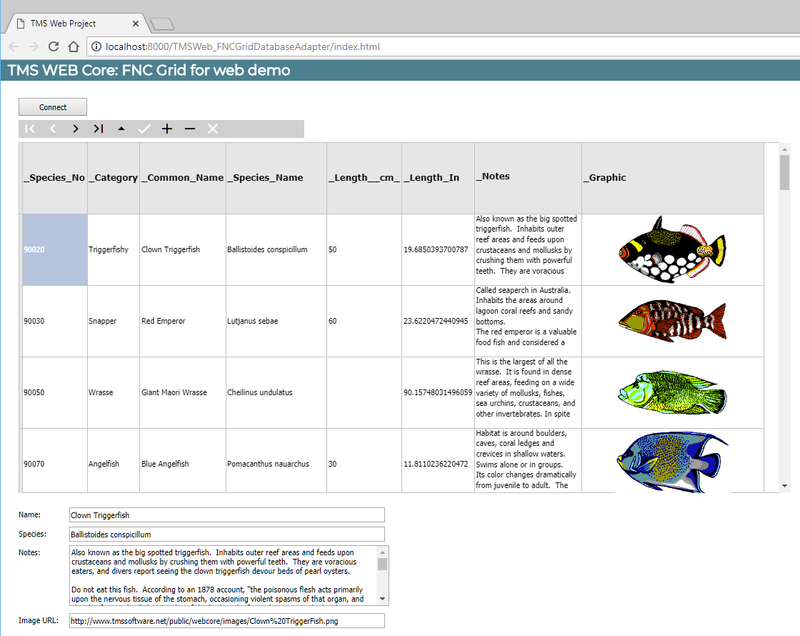 As you might already know, TMS WEB Core v1.0 Brescia edition has been released. And that is probably the reason why we are receiving this frequent question: “How do I connect to my [MySql] database from TMS Web Core?” (and you can replace [MySql] by your favorite database server). The answer is: You have plenty of options, but the best one is: TMS XData. Why TMS XData, even for non-TMS Web users? TMS XData is REST/JSON server framework. You can relate it more or less with DataSnap, ASP.NET Core Web Api, NodeJS Loopback, etc. But for Delphi. And how TMS XData is different? It’s hard to say in a few words, but I will try by saying this: it just works: the product, the support and the experience. The first one was the number of errors logged from using DataSnap. After so many frustrations, he migrated to another one. The second line are errors from that second middle-tier Delphi framework he used. Then third one were errors after migrating to TMS XData. Zero errors. He even did the work to check if the error logging was working by forcing an error to happen, because he was not believing it. “Finally!” was his relief words. Also other benchmark tests were done regarding memory usage, errors, performance. This one was made by a customer who was evaluating options at that time – not a XData user yet when the test was done: https://datasnapperformance.wordpress.com. He decided to go for TMS XData after being convinced by its own tests. Being TMS Web Core a SPA application, you can’t connect to a database directly from the web application. You need a middle tier that will be the bridge between the web app and database. You should create one like everyone else, using PHP, ASP.NET, NodeJS, Delphi. But with TMS XData, it’s an order of magnitude easier. You don’t even need to write code like the CustomersByStatus method above if you don’t want to – XData does it all automatically for you. 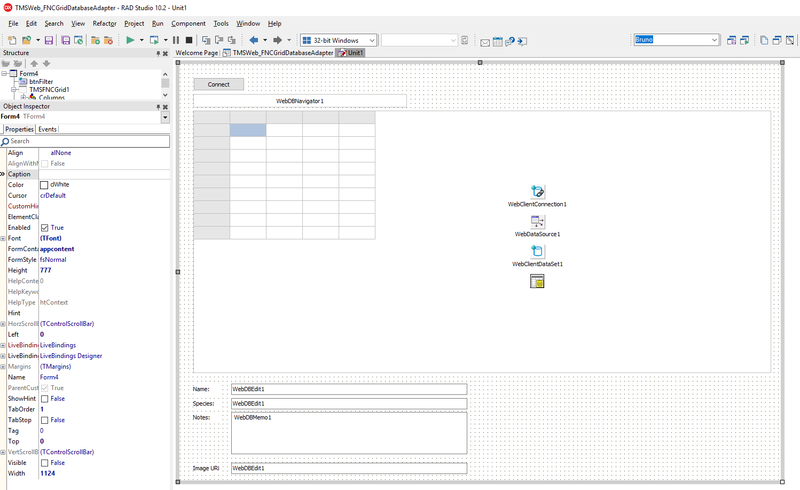 Now using the TMS XData Server wizard, you can create the XData server in a few clicks, and just add the unit generated by Data Modeler to the project. Your server should be up and running! And this is what we get in the browser. Note how data was retrieved from the server: an HTTP request to our REST server, and JSON format being return. Yes, a real pure html/js web application with REST Api backend, and we code it the Delphi way! Here is a screenshot of our TMS XData Music Web Application demo, available online at https://app.devgems.com/xdata/music/app. Full source code of the demo is available when you install TMS XData. Do you want to see all the process described in the blog post in action? Watch the video below! 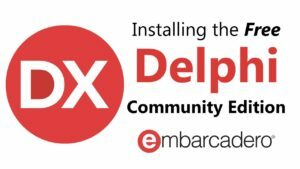 and exploring the trial versions downloads available for Delphi. 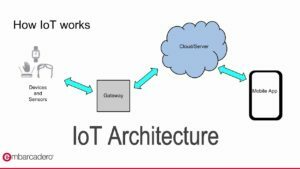 Check out this video which features two kid-friendly IoT projects that you can build in FireMonkey. Open: A new world opens for FNC: the world-wide-web! 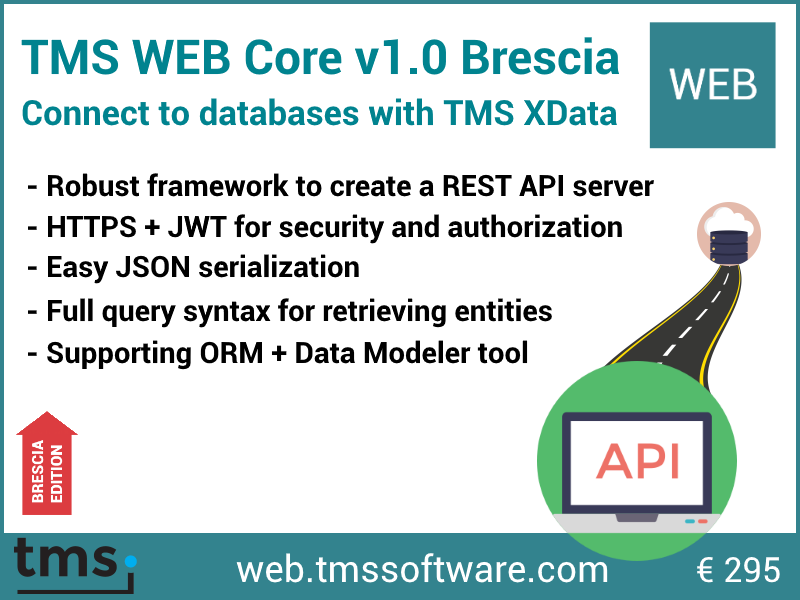 Yesterday, we released TMS WEB Core v1.0 Brescia edition. 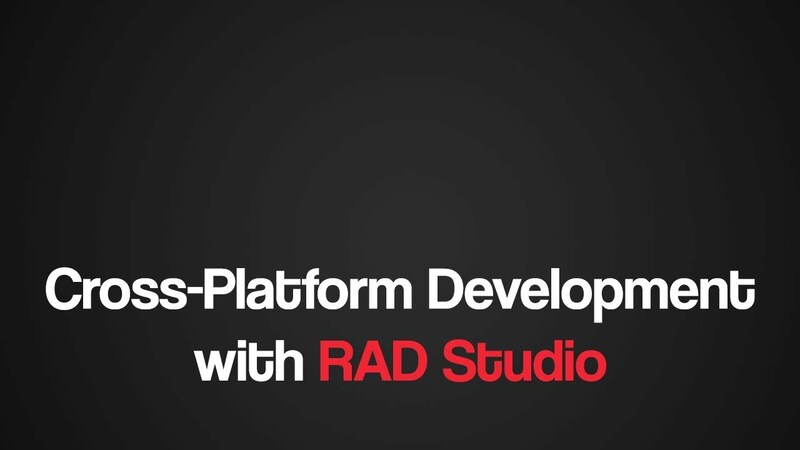 This brings RAD component based development of web client applications from the Delphi IDE. TMS WEB Core is designed to be open. It comes with numerous built-in UI controls that are close equivalents to standard VCL controls like TButton, TListBox, TEdit, TMemo, TStringGrid etc… In addition, TMS WEB Core comes with Pascal wrapper classes that allow you to use jQuery controls (we have a partnership with jQWidgets for this) and in the future, we’ll bring much more wrappers around existing web controls. But for Delphi developers, there is an extra gem, the TMS FNC Controls. We started developing the FNC architecture in 2015 as a UI control architecture that would allow to create UI controls from a single source code base that are usable from VCL Windows applications, FMX Windows, macOS, iOS and Android applications and also from LCL (the component framework in the free Lazarus IDE) for Windows, macOS and Linux. With the FNC architecture, there is only one learning curve to master complex UI controls like a grid, planner, treeview, richeditor, … in different applications using different frameworks, but you can also reuse your UI control logic through these different applications. Now, with TMS WEB Core, we have opened a whole new world for the FNC controls. Yes, we have web-enabled the FNC control architecture and that means that, from now on, you can use our FNC UI controls from TMS WEB Core web client applications. and it runs directly in the browser. At this moment, the TMS FNC Chart, TMS FNC UI Pack and TMS FNC Dashboard Pack components will also show on the toolpalette and are ready for use in TMS WEB Core client applications. The FNC architecture is an open architecture. This means that you can also use it to create your own custom UI controls. You do this by descending from TTMSFNCCustomControl and by doing so, you will have a UI control that you will be able to literally use everywhere, from a Windows application to a Raspbian application, from an iOS app to a web application. and exploring the trial versions downloads available for Delphi & C++Builder. Open: ITDevCon 9 is coming!